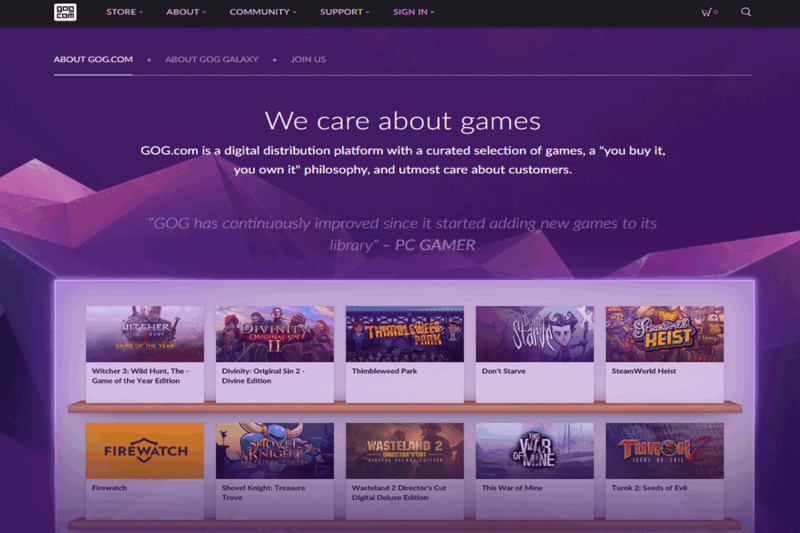 When we talk about digital distribution platform what comes first is GOG. It has a pretty amazing and curated selection of games. Like just once you’ve bought, now you own it. Its massive library carries all the exceptional games AAA games to unique indies of best classical gaming. You can literally seek any game here. 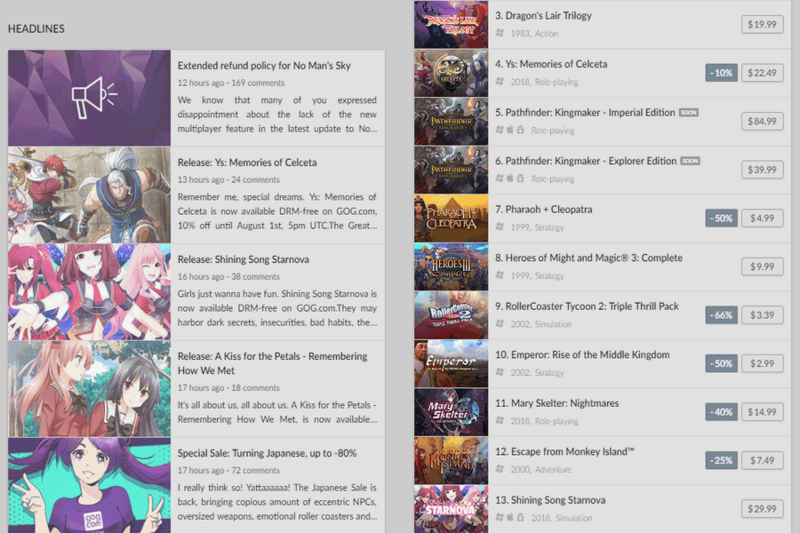 GOG has that pretty collection because the company is too much concerned about its customers. You can expect complete edition with as many goodies as possible. One can locate the long-lost collection and or strike directly to latest. GOG.com have many goodies to give on your every purchase. You can be assured as its every game is legitimate. The customer’s purchase will support the rightful owners and creators of the game. No matter what game you’re opting for, they’ll fix its bugs for the user in advances, it doesn’t matter if the game is new or old. You can run the game flawlessly on next gen PC’s or at modern OSs. 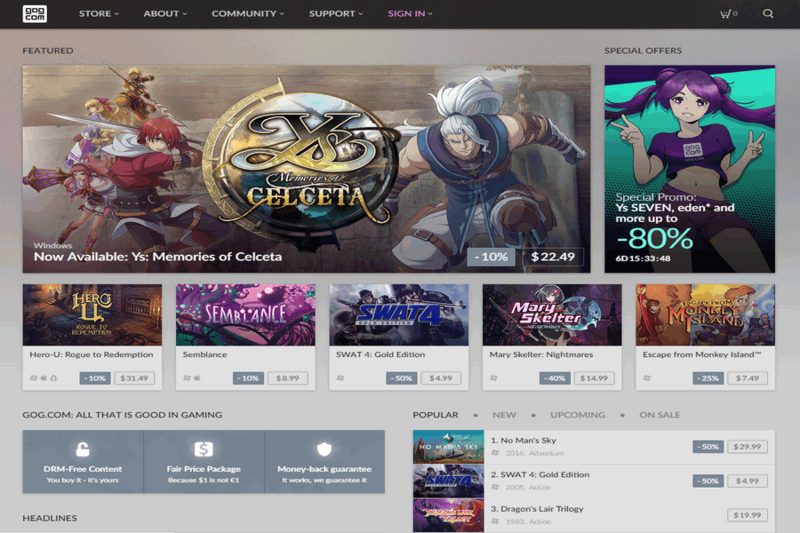 All the games at GOG receive a proper treatment from the company, so the user won’t miss on the great releases and awesome deals that are happening all the time.